Compact yet powerful, Flip 4 helps liven up the ambiance wherever you are. 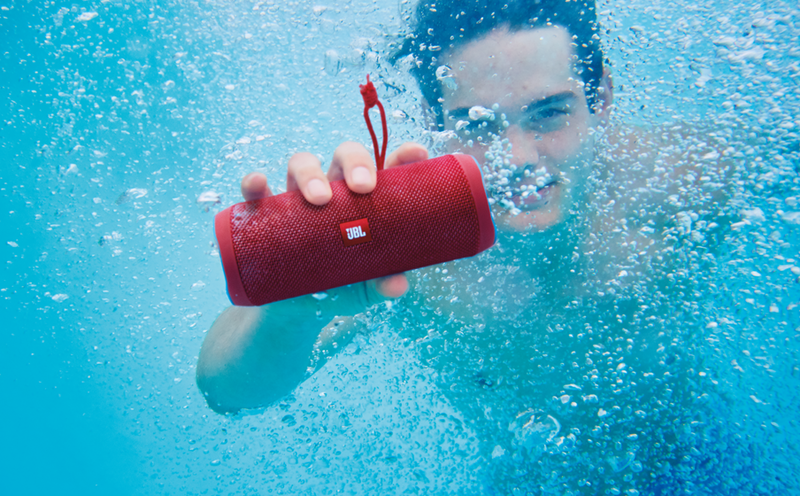 Fully splash-proof (IPX7 Waterproof), the JBL Flip 4 Portable Bluetooth Speaker is a reliable, all-weather music source for outdoor adventures. 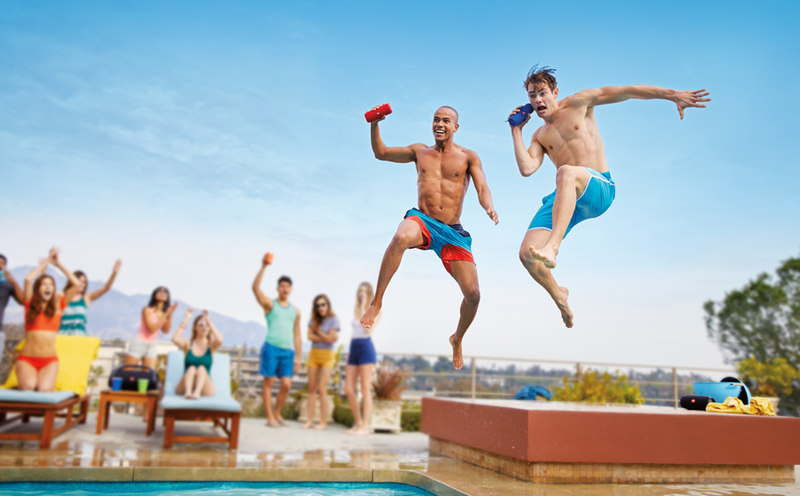 The JBL 4 speaker’s built-in 3000mAh rechargeable Li-ion battery delivers up to 12 hours of non-stop playback to keep the party going. With the touch of a button, take crystal clear calls from your speaker, thanks to the noise echo-cancelling speakerphone. 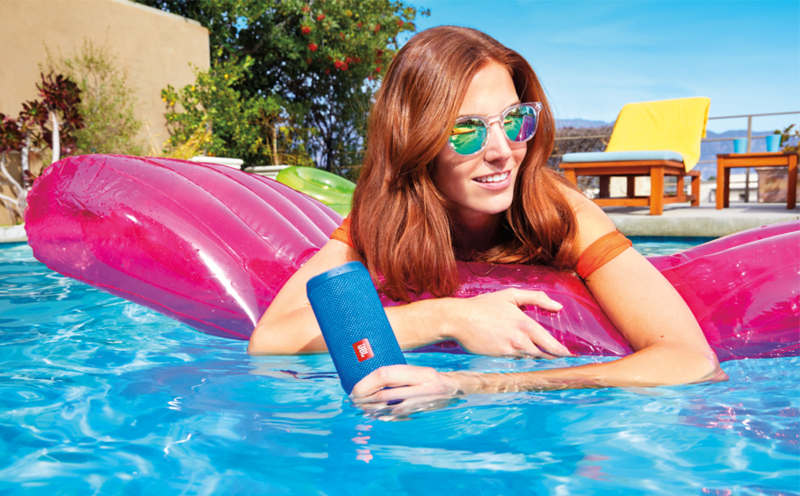 Access Siri or Google from your JBL speaker.